Take this from someone who used to be like that. I used to always be nervous about what people would think of me, regardless of what it was I was doing. Once I did whatever it was I was like "WTF was I so nervous about?" If you are going to a place to take powwow dance classes then you will probably be there with other people who are just as new and are starting out like you. Just give the classes a try. Walk in ready to dance with a smile on your face. Try to make friends there and try to powwow with them because as a group you should all support one another. Outside of class make more friends at powwows, it's easier than it sounds. People may question who you are and make a remark here and there but ignore it and eventually they will get used to you being there and who knows they may even befriend you. Powwows can be dog and pony shows and some people only say negative things just to knock you down a peg or two to stomp out some competition. Just keep in mind why you dance and if it's a for a good reason you should be able to shut out the negative thoughts of those who only dance for sport or money. What you should expect starting out from the beginning is first learning to keep a beat then after a few classes they will probably teach you the basic moves of whatever style you choose then after several more classes you'll learn some more advanced moves then beyond that its just learning how to assemble what you have learned and making it your own. You could start out watching videos here and on YouTube and attempting to emulate what you see. 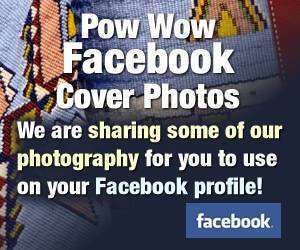 Listen to powwow music and only powwow music and listen and feel the beat and understand the structure of the songs. Just about every style has more than one type of song (straight, round, crow hop, etc...). If you can keep a beat then it's just lots of practice from there to get good. One thing to try is to hold something in your hand to help you keep beat and also get used to holding something in your hand. My cousin, a jingle dress dancer, dances with a dust pan around the house when she's messing around or trying out new moves. The dust pan is in place of her normal feather fan. As for your regalia. Look at the way other people who dance your style have made their outfits. Don't copy their design but get a general idea on whats needed and how it is made. Incorporate family and tribal designs into it. You said you dreamed about you wearing an outfit, thats good, draw out what you saw in your dream and use that as a basis - we do that all of the time here. The take away from this is simply just don't overthink how people will judge you, powwows are not a high school with cliques and mean girls around every corner. Additionally practice every chance you get in and out of class. The most important thing is just have fun. ac_miss, C&HBrownsugar, windanncer and 3 others like this. Last edited by Toolbox; 08-12-2015 at 08:17 AM.. Reason: Auto-correct strikers again. The take away form this is simply just don't overthink how people will judge you, powwows are not a high school with cliques and mean girls around every corner. Additionally practice every chance you get in and out of class. The most important thing is just have fun. AWESOME! That's fantastic news! Be true to your heart and all the rest will become second nature to you. I think you are in for some really good times in your future and you will be amazed at the things you can learn if you are ready and willing. Have fun with this!! May the Blessings of the Creator be with you and aide you in your journey. windanncer and DeafElderWoman like this.